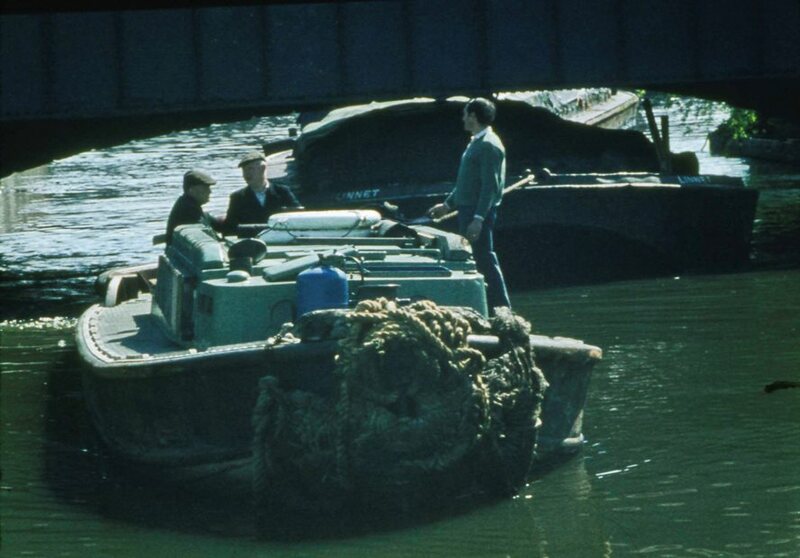 Peter Young took these photos of the Brent Lee, the first near Brentford Lock, the second as she passed under Brent Bridge on 2nd May 1973, part of a collection of photos from 1973 and 1974 which show river traffic and people who worked on the waterways. If you are not familiar with the area the map may help; it also shows the Brent Lee at Brentford Lock on the same day. 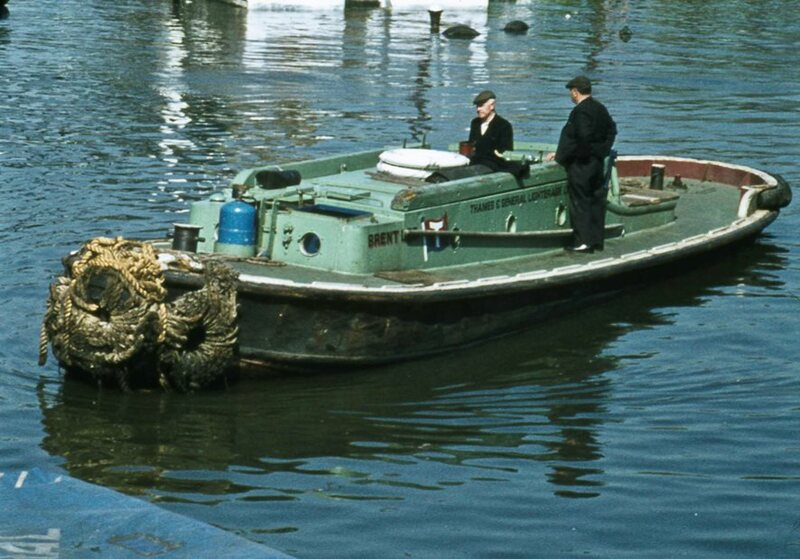 Brent Lee was a Thames & General Lighterage tug, built in 1957 by local firm E.C. Jones - read more about E.C. Jones company history - and as at 2009 was still operating under the name Ver - an external website has a modern photo and more details.